“During the Middle Ages theology was understood to be the queen of the sciences, and classical learning, insofar as it was true, was theology’s servant or ‘handmaiden.’ The metaphor described the relationship between Greek wisdom and Christian theology. “Quite early in the Christian era theologians had to come to terms with classical learning. Almost inevitably there were tensions between Christian teaching and aspects of pagan thought, with St. Paul declaring on one occasion that the Gospel was ‘folly’ to the Greeks (1 Cor. 1:23). Subsequently, the church father Tertullian declared philosophy to be ‘the parent of heresy’ (The Prescription against Heretics, chap. 7). Some early Christian writers, however, stressed the value of pagan wisdom, suggesting that it was a ‘preparation’ for the Gospel (see, e.g., Clement of Alexandria, Stromata, 1.5, 1.7). Tertullian was more positive toward philosophy than some of his more extreme statements might suggest. — Heidi A. Campbell and Heather Looy, A Science and Religion Primer, 116-117. “In addition to his moral philosophy, Thomas Aquinas (1225-1274) is well-known for his theological writings. He is arguably the most eminent philosophical theologian ever to have lived. To this day, it is difficult to find someone whose work rivals Aquinas’ in breadth and influence. Although his work is not limited to illuminating Christian doctrine, virtually all of what he wrote is shaped by his theology. Therefore it seems appropriate to consider some of the theological themes and ideas that figure prominently in his thought. “The volume and depth of Aquinas’ work resists easy synopsis. Nevertheless, an abridged description of his work may help us appreciate his philosophical skill in exploring God’s nature and defending Christian teaching. 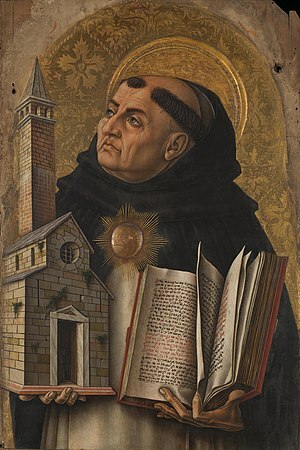 Although Aquinas does not think that philosophical reasoning can provide an exhaustive account of the divine nature, it is (he insists) both a source of divine truth and an aid in exonerating the intellectual credibility of those doctrines at the heart of the Christian faith. From this perspective, philosophical reasoning can be (to use a common phrase) a tool in the service of theology. (Latin, cardo, a hinge) The four classical cardinal virtues, as listed in Plato’s Republic, are [justice, wisdom (or prudence), courage, self-control (or moderation, being sensible)]. 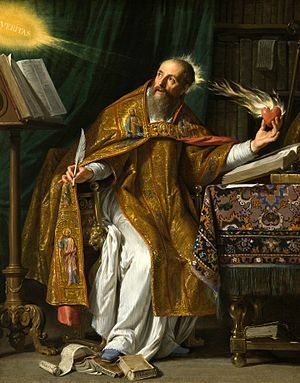 St. Ambrose (339-97), using Cicero as the immediate source, assimilated them to Christian doctrine, and seems to have been the first to use the word (Latin: cardinalis) for these four pivotal virtues (in his commentary to Luke chapter 6). In medieval philosophy, the three theological virtues faith, hope, and charity were added to this list. — The Penguin Dictionary of Philosophy, 95. This temple lies west of the Biblical plain called Haran and is only 20 miles from the Syrian border. . . . 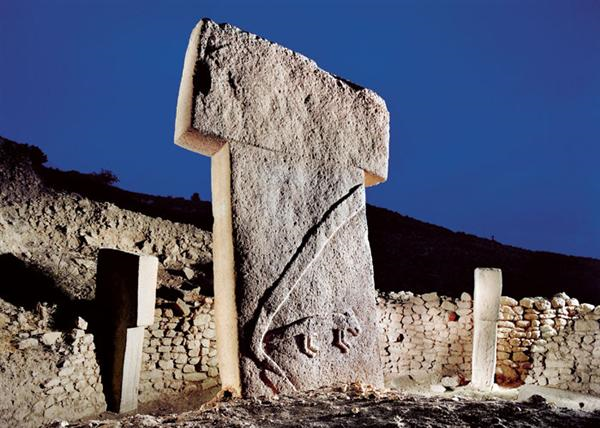 This is the world not only of Genesis, but of the great Anatolian civilization of the Hittites (yes those Hittites as in Uriah the Hittite — husband of Bathsheba). In short, if you are wondering if this is important to understand the OT, wonder no longer. It is. Witherington describes the relevance of the findings for both Christian theology and ancient history. The importance of this find for Biblical thinking is this — the Bible says that from the outset, human beings were created in God’s image. Human beings were religious creatures from Day One. Archaeologists and sociologists have long dismissed this theory saying organized religion comes much later in the game than the beginning of civilization and city building. As Ian Holder director of Stanford’s prestigious archaeology program says — this is a game changer. Indeed, it changes everything experts in the Neolithic era have been thinking. Schmidt is saying that religion is the cause of civilization, not the result of it. Towns were built to be near the Temple complex. Agriculture was undertaken to feed those living there and supply the temple complex, and so on. The first instincts of humans were to put religion first. Maybe there is more to that Genesis story than some have been willing to think or admit. Maybe human beings are inherently homo religiosis. 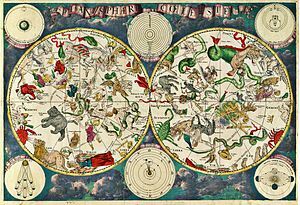 ‘there seems little doubt that the concept of scientific laws was nurtured by the Christian belief that God has established moral laws for the universe and therefore, ipso facto, God must maintain similar laws that govern the physical world. The rational God of Christian theology provided a rationale for seeking intelligibility in the world, as expressed through laws. This is made explicit in the writings of early natural philosophers such as Descartes, Boyle and Newton. This was not the book that I was expecting. I anticipated a study of the doctrine of the Trinity and its development in the early church. What I found was not nearly as academic as that, though this was published by the Academic imprint of IVP. Donald Fairbairn doesn’t seem to do theology in the modern sense, so much as offer his personal reflections on scripture within the context of the Church Fathers who have shaped his views. In fact, the quantity of scriptural references far exceeds those from the Fathers. Fairbairn references forty-five books of the Bible, but less than a dozen of the Fathers. Fortunately, he provides paragraph-length quotes from the Fathers which help to give a broader context than the single- sentence snippets we sometimes see in similar works. 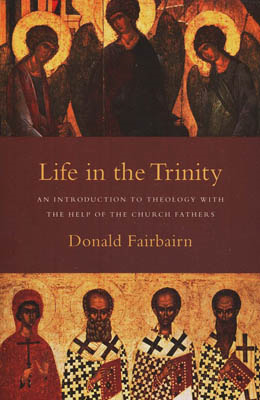 Fairbairn attempts to follow what he considers the most helpful theological theme through the Bible and the early church: theosis or deification, which he defines as sharing in the relationship of the Trinity by participating with God the Father as adopted sons through the person and work of Jesus Christ who is the natural son, or Son according to his nature. He then ties theosis into other theological topics such as Creation, Fall, Incarnation, Resurrection, soteriology, justification, sanctification, and ecclesiology. The overall tone of the book is almost devotional. Due to lack of in-text citations from the Fathers it is difficult to assess where they end and Fairbairn begins. It seems that he has immersed himself in dialogue with the Fathers and even undertakes to use their hermeneutic. Fairbairn articulates the most important difference between the patristic and modern methods of hermeneutics as one of direction. 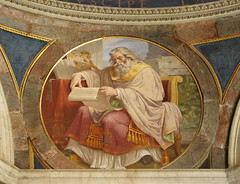 The Fathers start with the context of the whole Bible and then read individual passages in light of the wider context (deductive approach), whereas modern exegesis attempts to study each passage in its immediate context and work from the narrow context to the broader context (inductive approach). Fairbairn’s work is also very ecumenical in tone, but I was somewhat unhappy with the balance he tried to strike. First, he is obviously conversant with Eastern Christian theology. The theme of deification is a major one in Eastern Christianity and Fairbairn has written on the topic before in Eastern Orthodoxy Through Western Eyes. However, Fairbairn seems to cling too tightly to the Protestant distinctives for me to feel like he has given Eastern Orthodoxy a fair shake. It feels more like he has attempted to plunder the Egyptians. I was similarly disappointed in his treatment of the current justification debate. Early in the book he distances himself from modern theological debate by emphasizing that he is a Patristic scholar, not a systematic theologian and by claiming to avoid the standard loci of Western theology. However, the book is still roughly organized according to the standard loci and when he does address the issue of justification, he comes down very squarely in the Reformed camp. Overall, I deeply appreciated Life in the Trinity. If you are looking for an academic study of the doctrinal development of Trinitarian Theology within the early church you will need to look elsewhere. If you are seeking to deepen your appreciation for how at least some of the early church understood the Christian life and their relationship to God, this is the book for you. Thanks to Adrianna at IVP for this review copy.